Actions speak louder than words, 'walk the talk' or wave goodbye to quality applicants. Words hold little worth to discerning job seekers, are you providing evidence to back up bravado? When considering a new product or service we all undertake a certain level of due diligence. The more impactful the decision to our personal or professional life the more research we'll undertake. You wouldn't buy a house, book a holiday or send your child to a nursery without significant consideration, would you? For most people a change of job is a big decision and isn't taken lightly. Before applying to any old job the majority of job seekers will turn to the web to gather information that will either dissuade or persuade them to apply. To turn interest into applications it's critical that you earn and build the trust of the job seeker throughout each online 'touch point'. High quality job seekers will want to read content, watch employee testimonial videos and dissect reviews. As a company you may offer flexi-time, above average holiday entitlement or perhaps a training allowance. These are of course great selling points which when conveyed correctly are considered and appreciated. Unfortunately, due to the tightening labour market many companies are cramming their job adverts and career pages with buzzwords and unrealistic perks. Recent research by Thrive Map found that almost half of candidates are being sold an unrealistic dream. These unrealistic promises have resulted in 48% of employees leaving a job because it wasn't what they expected. To stand out from the crowd from those who are just paying lip service it's important to create accessible evidence to support your claims. One great way of doing this is through employee case studies/testimonials. Let John tell the world how flexi-time has helped him to achieve a better work life balance, how Arjun used his training allowance to excel or progress in his role or perhaps how that extra holiday entitlement helped Samantha to take a well deserved, extended holiday. Employee testimonials look great on your career site and are invaluable trust sources for potential applicants. 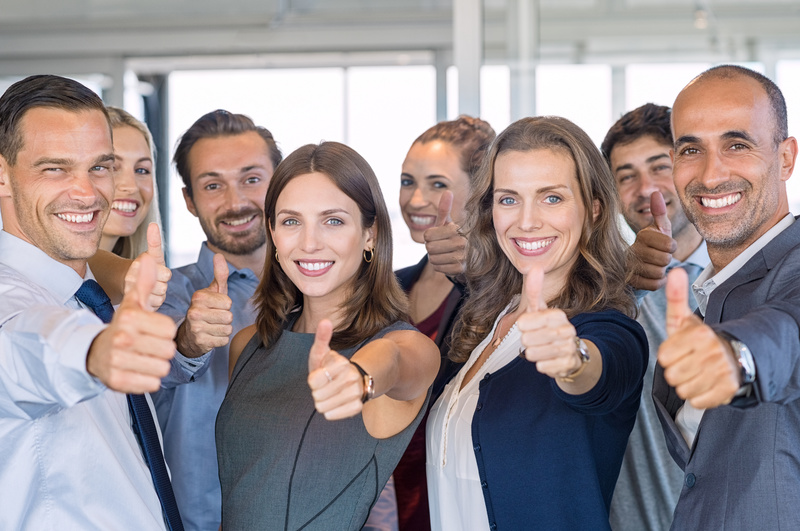 However, if you really want to stand out from the crowd then an authentic employee video testimonial is the perfect way to differentiate from the pack. Social media channels are great trust sources for active job seekers and are also key to reaching the passive candidate market. Social engagement can see your content viewed and shared far and wide. 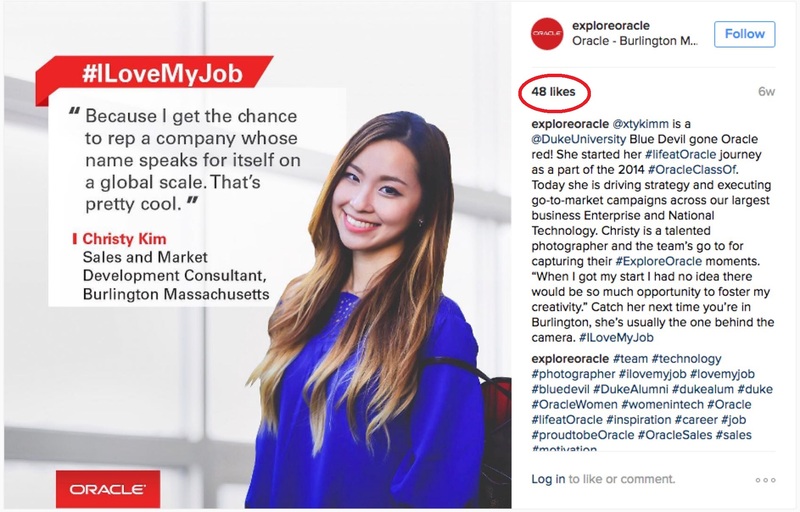 Here's an example of how Oracle used Instragram to distribute their employer brand content and stimulate engagement. With over 2 billion active users worldwide social media provides unrivalled exposure to the masses. When it comes to the UK it has been estimated that 48% of the population has at least one social media account. Social platforms such as handle social.media are being used by HR and recruitment teams across the country to spread awareness and increase exposure of their employer brand. Handle's platform allows users to manage all social accounts centrally and post content into Facebook Groups, Instagram stories, twitter feeds and so on. For more information click here. Review sites such as Glassdoor are hugely popular amongst job seekers and are used regularly when evaluating an employer. From a job seekers perspective these sites provide a true indication to whether the company practices what is preaches. Setting up a Glassdoor page takes less than 5 minutes and requires little time and effort to start promoting to head office employees. However, if you're a much larger organisation with multiple sites or a dispersed workforce's promoting new initiatives, sharing information and company news may be more challenging. This is where employee communication tools such as an employee app are invaluable to HR & Communication departments. Why not introduce online reviews into existing processes such as the exit interview to generate real, honest reviews?! Here's an example of what 'good' looks like from our friends over at Costco. Costco have achieved the status of 'Engaged Employer' on their Glassdoor account. You don't have to be a company of Costco's stature to reap the rewards of employee review sites either. There are thousands of SME businesses listed on the site and plenty excelling. Take our local neighbours Croner Group for example, they employee between 50-200 staff according to their Glassdoor page and have managed to accumulate a large number of valuable, honest reviews. Do you ever scroll down your social media timeline and see adverts from websites you've previously visited? Or, perhaps you've read an article online only to be interrupted by an advert wedged between the text? Congratulations, you've been remarketed to! In the world of marketing, remarketing is used to attract previous visitors back to their website or content....and it's pretty effective. Remarketing is a powerful brand builder and well known for high conversion rates. This form of marketing has become so popular that recent research has found that as many as 3/4 consumers are now aware that they're being re-marketed to. There's no doubt that as consumers we've been subconsciously conditioning to the expectations of brand engagement and communications. With that being said, doesn't it seem odd that you're not making use of such tools to drive previous visitors back to your content/ career site? If you're considering a remarketing campaign then it's best to let the marketing department know as soon as possible. The marketing team will add some clever code also known as pixels to your desired web pages which will collect web cookies from visitors. Starting this process early gives the pixel plenty of time to work its magic and accumulate an audience for you to target across social media and/or search engines once your campaign is ready. In the meantime you'll have some time to start drafting ideas around your campaign. Again, it's worth collaborating with marketing early on to ensure your expectations are achievable. At this point marketing should be able to draw on their experience and provide creative input to help drive awareness, engagement and importantly applications. More often than not, you will find candidates who are not quite what you are looking for. It’s unfortunate when this happens, but when it does, it should NOT be a case of “you haven’t got the job, on your bike”. Ensure you provide feedback where possible and ask candidates who reached the later stages of the process for permission to store their details in your talent pool for future vacancies. 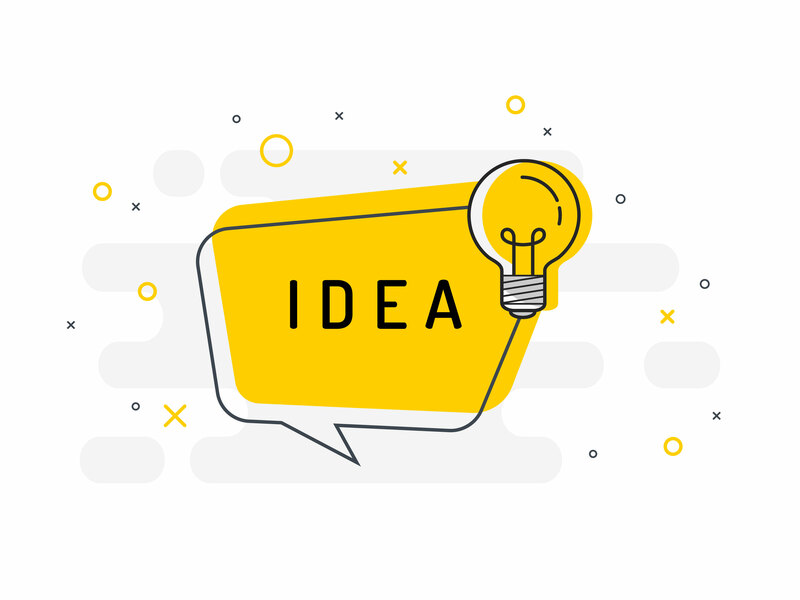 Consider adding previously strong candidates to a bi-monthly, or quarterly mailing lists providing EB material to keep them interested and engaged with your brand. This tact may require a little leg work initially however it could save you significantly on future advertising fees. Are you incorporating internal news into your blog? If not, you could be missing a trick. Publicly sharing your teams success make current employees feel valued and shows customers that you're a responsible business. It's also a great way of showing your culture and brand. Who doesn't want to be part of a company that recognises, rewards and celebrates success? 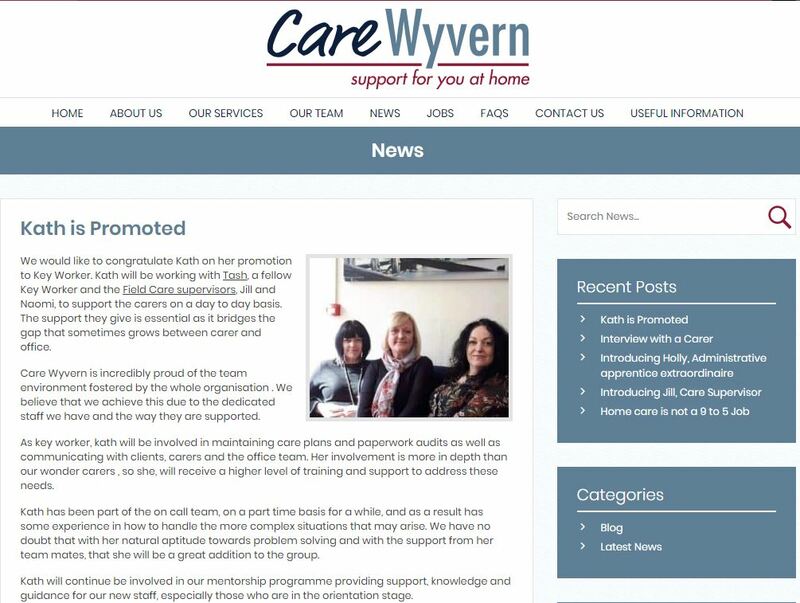 Here's how our friends at Care Wyvern publicly celebrated Kath's promotion. Want to broaden your employer brand knowledge further? join us at our free employer brand workshop!